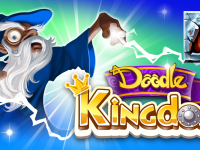 The game includes songs composed by Beethoven, Chopin, Bach and other famous classical music authors, as well as popular melodies like Merry Christmas, Happy Birthday To You, and many others! This dancing Grandpa and his whacky tools are ready for fun projects in the workshop! 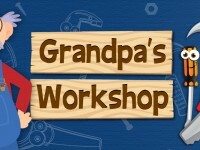 Created by the makers of the wildly popular “Grandma’s Garden”, Grandpa’s Workshop includes seven action-packed mini-games loaded with educational content for kids ages 2-6. Plus, your kids will get to choose parts to build their own colorful clubhouse! 1. Spot the Difference. One of those tricky tools is sillier than usual… can you spot the one that is different? 2. Board Fractions. Let’s cut the board into halves, thirds, or quarters and count how many pieces we have! 5. Number Groups. We’ll need 4 springs to finish up this project… which jar has 4 springs? 6. Puzzle Fix-Up. Oh no! Grandma’s plate is broken! Let’s piece it back together. 7. Paint the Project. Grandpa just built this stool… what color will you paint it? Decorate your photos with one of 600 beautiful frames, effects, filters or montages! 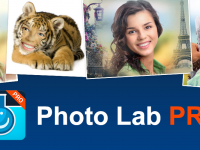 Photo Lab PRO is an easy, quick and powerful photo editor. You don’t need to be a Photoshop expert to make beautiful or funny photos, as after you choose an image you only have to pick a filter, frame or montage to use. Photo Lab PRO will do all the hard work and you won’t have to get your hands dirty. 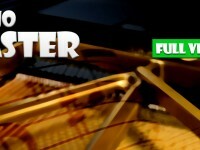 - other photo effects such as headwear, magazine covers, celebrity collages and more! After you process an image with Photo Lab PRO photo editor you can share it easily. You can use Facebook, Twitter, Instagram and other social networks you love. Or you can upload pictures to our servers to get short links and send them as personal messages or emails. New frames and filters to decorate your photos are added with each update. If you didn’t find a particular photo montage or collage in the library, contact the team and you might see it in the next version of Pho.to Lab PRO. We love hearing from our users and we aim to make Photo Lab PRO the best photo editor on Amazon Appstore! THINK IT! CREATE IT! SOLVE IT! 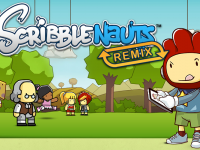 The award-winning, best-selling video game is now available for Android devices. It’s time to get MEDIEVAL!